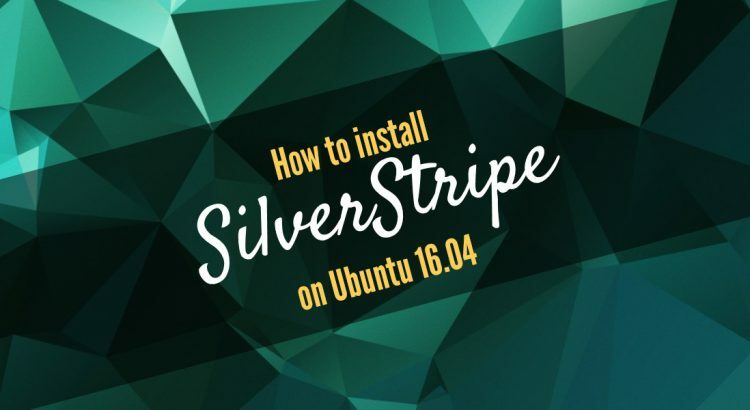 Today, we will show you how to install SilverStripe on an Ubuntu 16.04 VPS using the Apache web-server and a MySQL database. SilverStripe is popular and widely-used open source CMS. It uses the SilverStripe framework (previously Sapphire Framework). Because of the framework, developers can easily customize and extend the CMS and make it their own. With SilverStripe, you can create websites and applications with ease. It has all the features you’d need in a CMS. SilverStripe is a popular choice when looking for an alternative CMS to WordPress. It is fairly easy to install SilverStripe on an Ubuntu 16.04 VPS. The installation process should take about 5-10 minutes if you follow the very easy steps described below. – PHP (5.3.3+, <7.2) along with the mbstring, curl, zip, bcmath, xml, tidy, gd and mcrypt extensions. They are most generally active by default on a standard php installation. Make sure to always keep your server up to date. Next, we need to create a database for our Silverstripe installation. Open your favorite web browser, navigate to http://your-domain.com/ and if you configured everything correctly the SilverStripe installer should be starting. You should follow the easy instructions on the install screen inserting the necessary information as requested. That is it. The SilverStripe installation is now complete. Of course, you don’t have to do any of this if you use one of our Software Installation services, in which case you can simply ask our expert Linux admins to install SilverStripe for you. They are available 24×7 and will take care of your request immediately. PS. If you liked this post please, share it with your friends on the social networks using the buttons on the left or simply leave a reply below. Thanks. 1. Please don’t use the version number in php software installation commands. If the user already has php7.1 installed, both versions get installed, potentially causing problems. 2. Mariadb and Apparmor don’t see to play too nicely together in the above installation. As a result I wasn’t able to get Mariadb to start. See https://askubuntu.com/questions/750604/why-does-mariadb-keep-dying-how-do-i-stop-it and https://blogs.oracle.com/jsmyth/apparmor-and-mysql. Could you include in your instructions a comment to disable apparmor for Mariadb or to change it from enforce to complain.